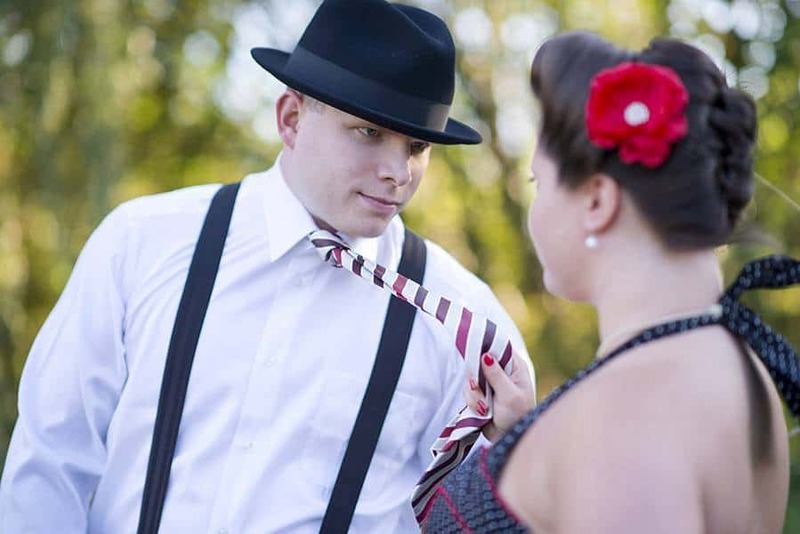 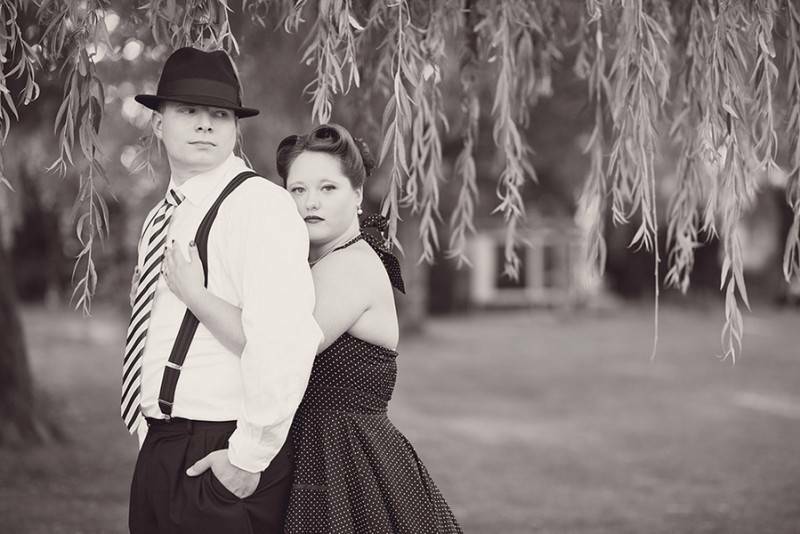 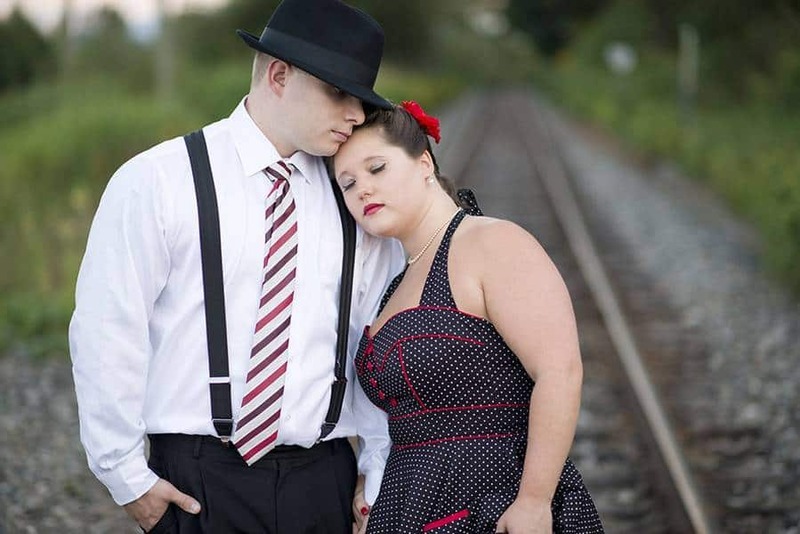 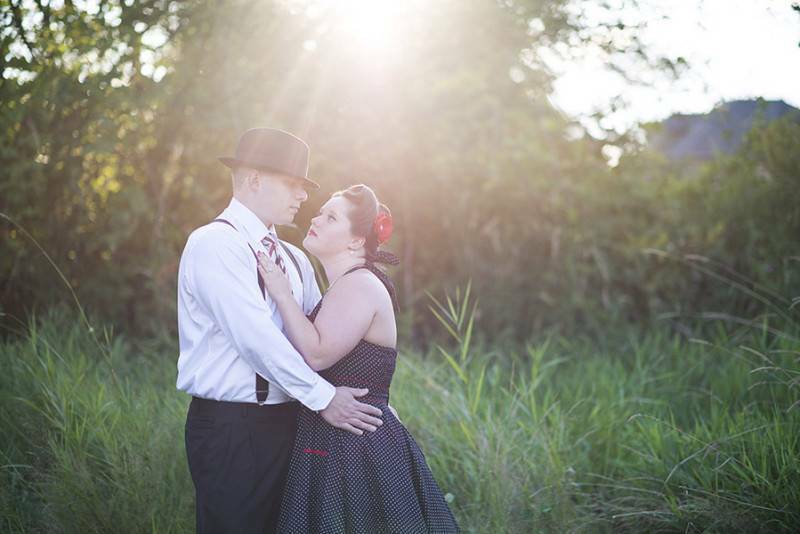 First look at this album will have you thinking that this is a straightforward vintage styled engagement shoot but after knowing our couple’s passion for all things Disney, it became kind of evident that they channeled a little bit of this to their outfit. 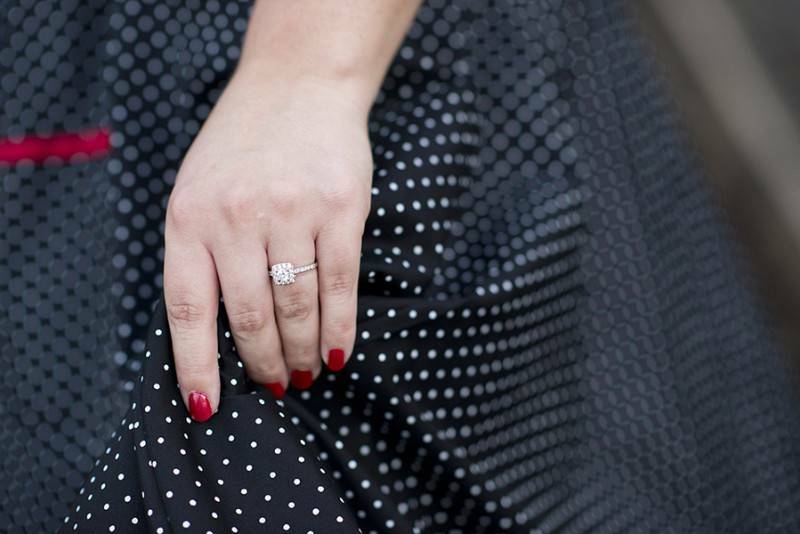 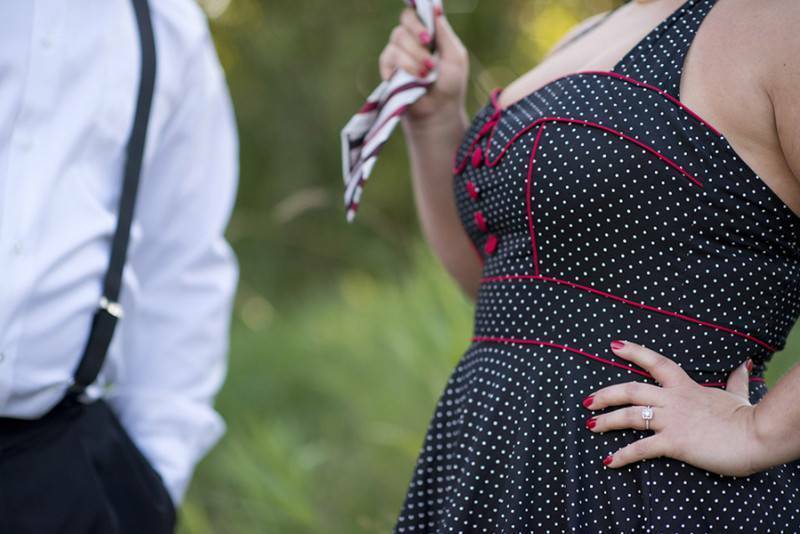 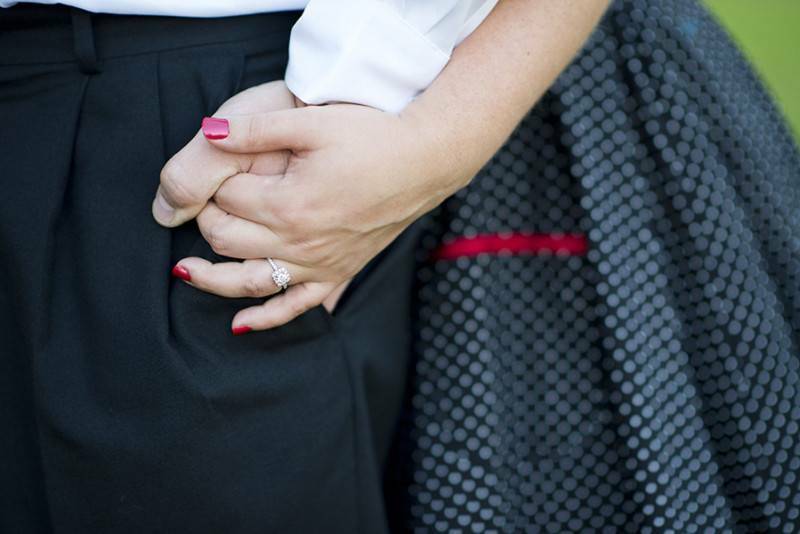 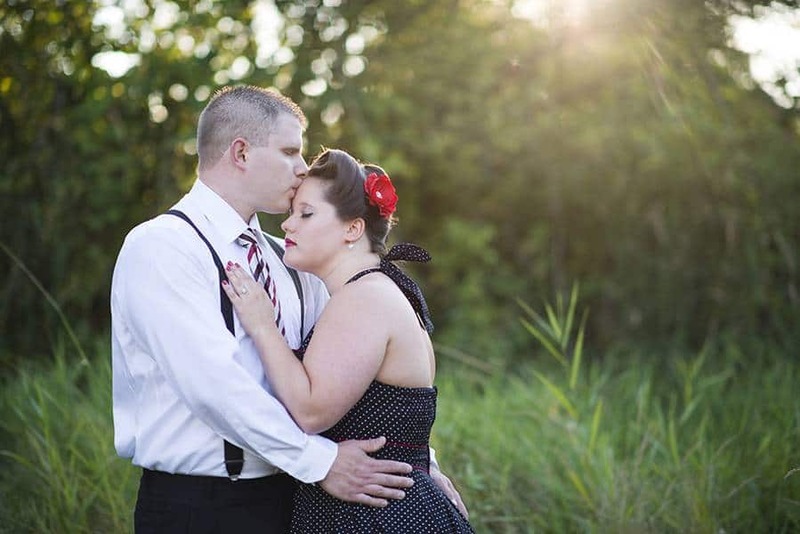 Minnie Mouse is known for her red polka dotted skirt and our bride-to-be took this style and wore a lovely black and white dotted dress with red details. Very subtle interpretation right? 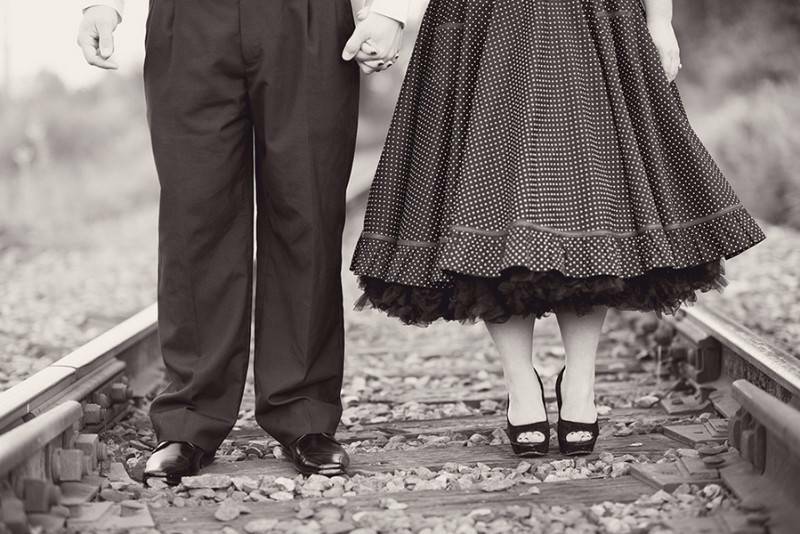 But truly, their vintage styled photos were on point and if it weren’t for the colored pictures, they could have fooled anyone on thinking that the shots are really from the 50s. 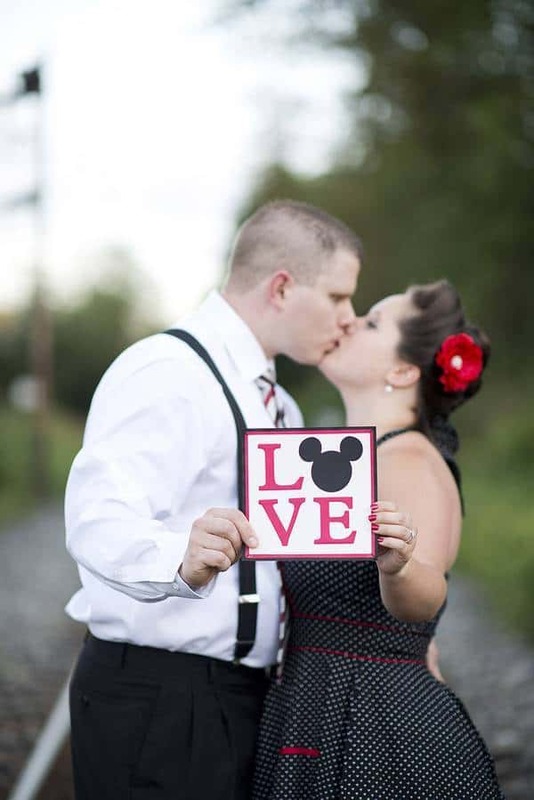 Advanced congratulations Delaine and Dan – who we were told are going to have a Disney-themed wedding in Disneyland, WHAT A VISION THAT WOULD BE! 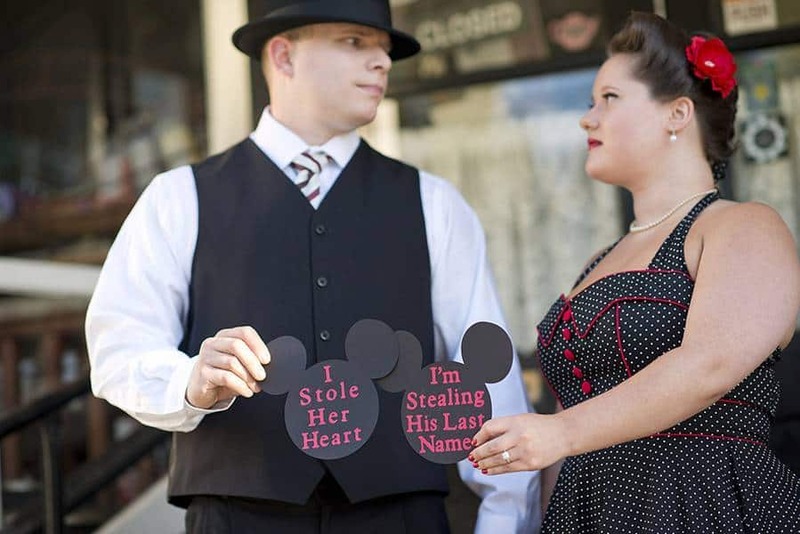 When Delaine phoned me and told me about her Disney obsession and that her and Dan were going to get married in Disneyland, and that she wanted to do a 50’s themed engagement session, I was so excited! 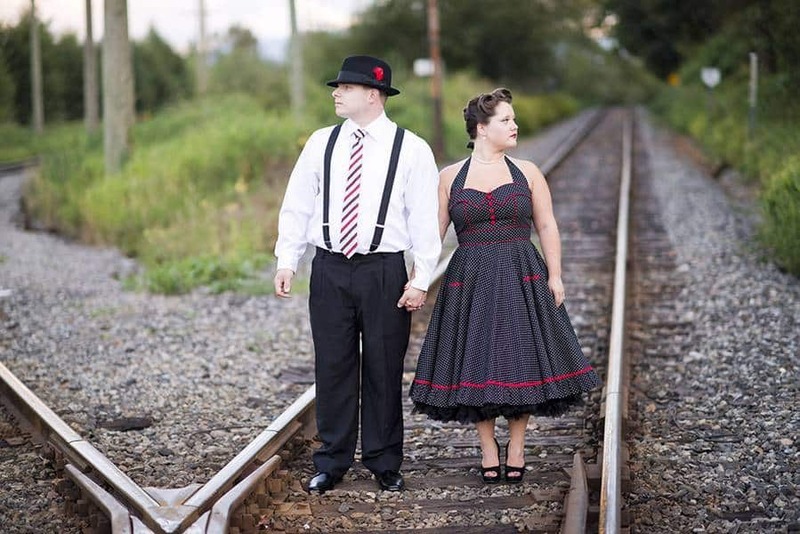 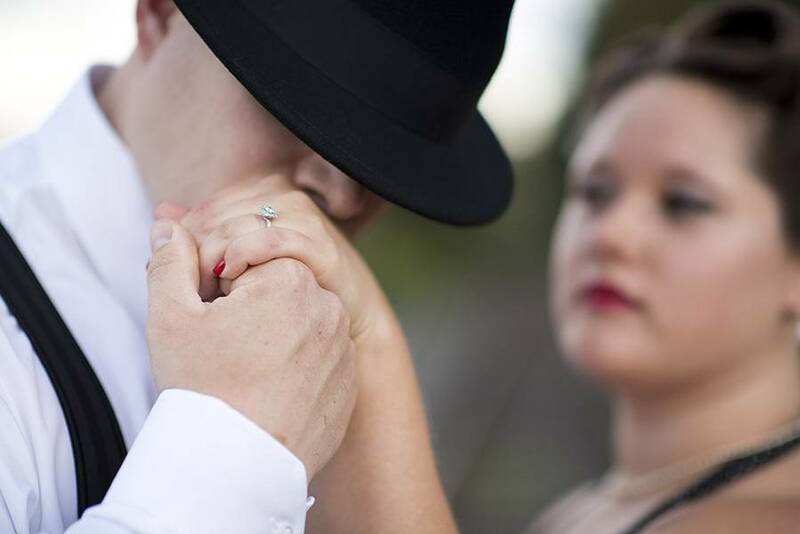 We chose Clayburn Village in Abbotsford, BC as the location. 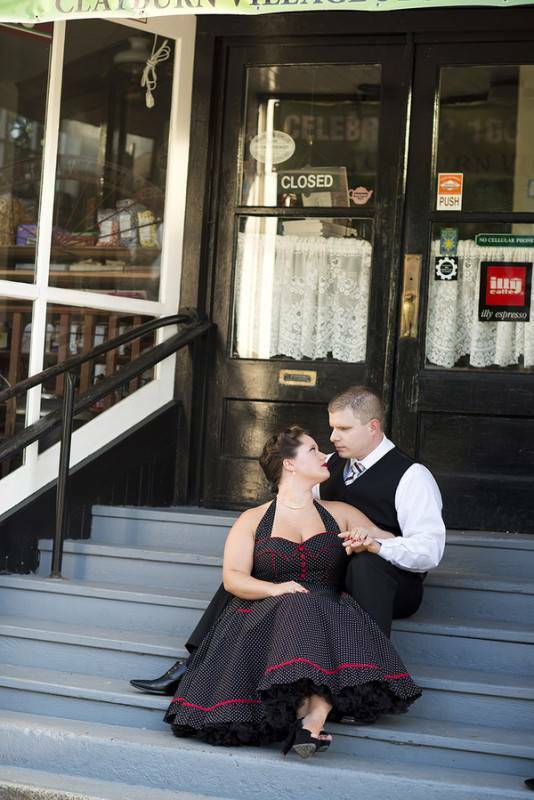 A small area that has kept the antique look of the original town. 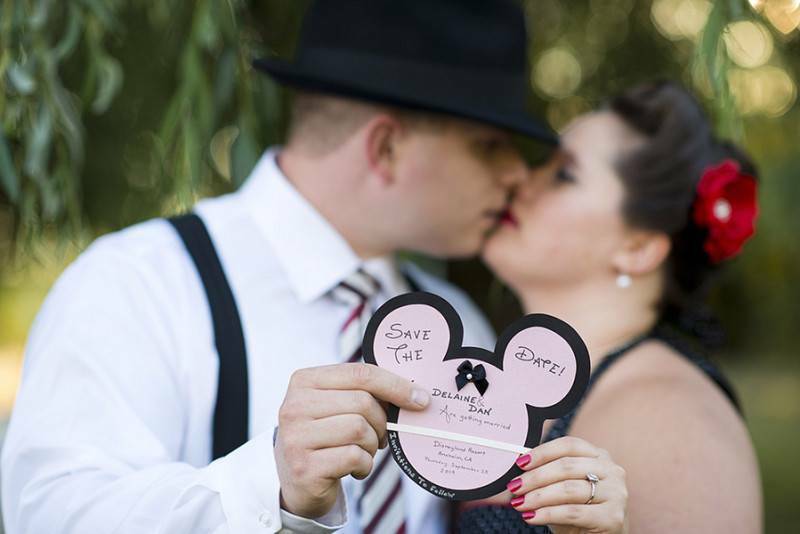 I love that Delaine put so much thought into their outfits, and into their Mickey themed props, including the Save the Dates, and the cute signs. 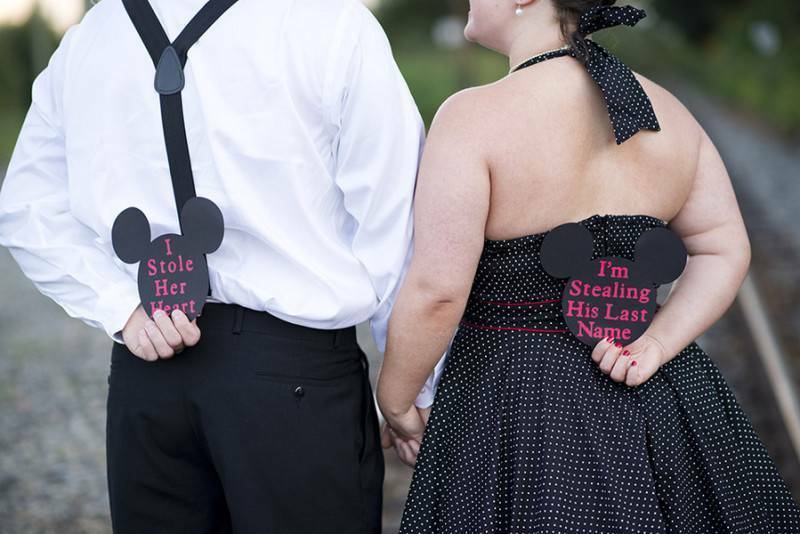 I cannot wait to see these two get married in Disneyland!